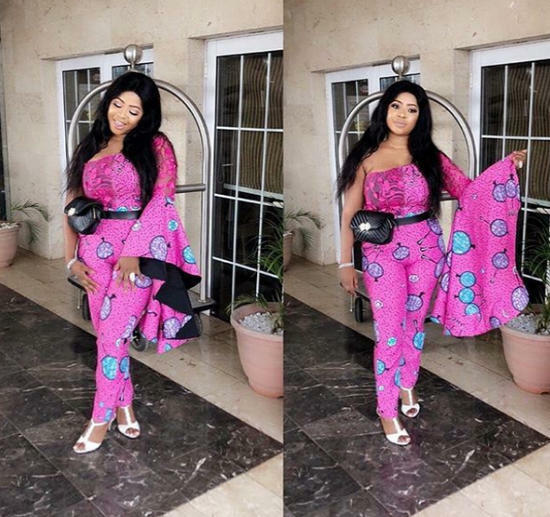 If you are here, its either you are a lover of Ankara jumpsuit you just want to check out how it looks on some of these gorgeous ladies. It's all cool! But don't forget to get one lovely piece of Ankara jumpsuit for your wardrobe. A jumpsuit is a fave in the fashion world. Rock your jumpsuit casually, on a street mode or with a stylish blazer for corporate wear. You won't get it wrong. 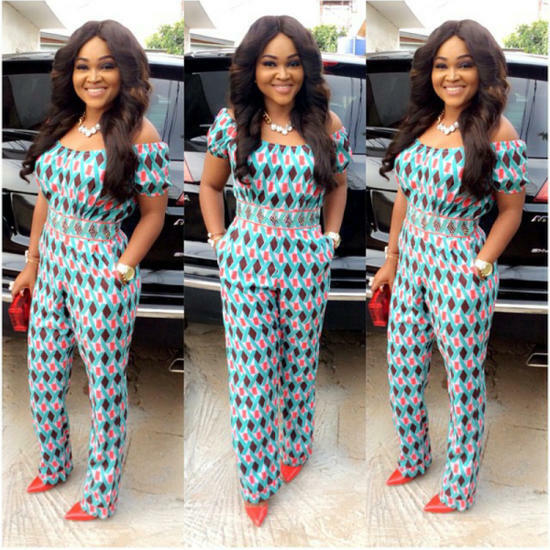 Ankara jumpsuit style is suitable for ladies of all sizes. Weather you are a slim figure-8 or the gorgeous curvy beauty, you can always bring out your unique taste with a stylish jumpsuit. 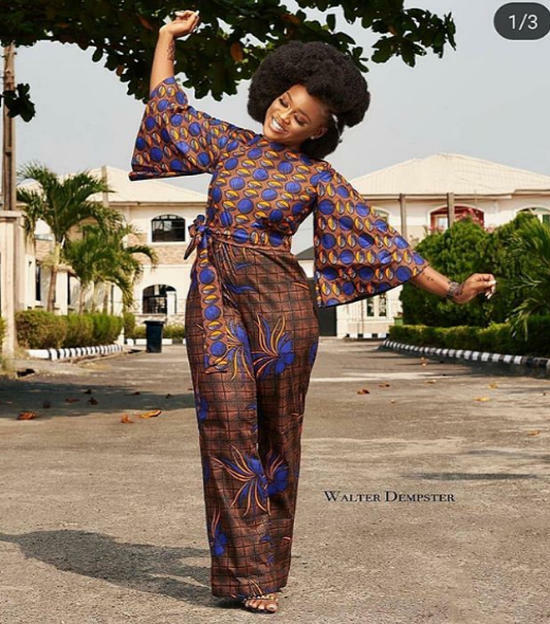 open shoulder, long or short styles of Ankara jumpsuits are just a few from lovely beautiful styles to choose from. For the office, a sash or simply a belt will help to give a touch of a corporate feel to your outfit. Complete the look with a fine blazer or a short Kimono, you'll be sure to daze even the long-faced colleagues. But that's not all, your choice of accessories can make or dent your glamorous outfit, but you won't go wrong with neutral heels, pumps or sandals. If you want to trim your overall, hide some curves and make yourself look slim, you may tell your tailor to cut the pants straight with a bit of volume. Also, a jumpsuit sewn from a moderately bright theme Ankara fabric is another sure win for a slim figure. 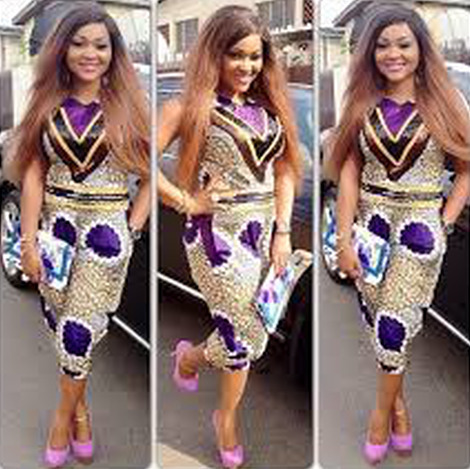 If you only want to wear your Ankara jumpsuit casually or, on a street mode, there are not too many strict rules to follow. But here are some tips you may find useful. A cord in the waist may just be enough to adjust your jumpsuit to your fit. But a belt or sash is your sure win for a formal look. Don't forget to experiment with colors. Of course, some colors are easy to match with any outfit. Talk of black, beige, brown, mauve or metallic. But you can try your hands on other weird colors; burgundy or coral shoes. Also, while a jumpsuit is ideal both for the formal and informal outings, you already know that the length of your dress also matters. A short Ankara jumpsuit, for example, is okay for your casual aso ebi dress. But for a work outfit though, you want to go with a long jumpsuit. Furthermore, don't forget the rules of color contrast and matching. Ankara wears come in bright patterns, so. in case you want to pair your jumpsuit with any English dress for a corporate wear, a plain color neutral is the way to go. Nigerian fashion scene. You want to rock a glamorous and stylish outfit that get people talking this weekend? 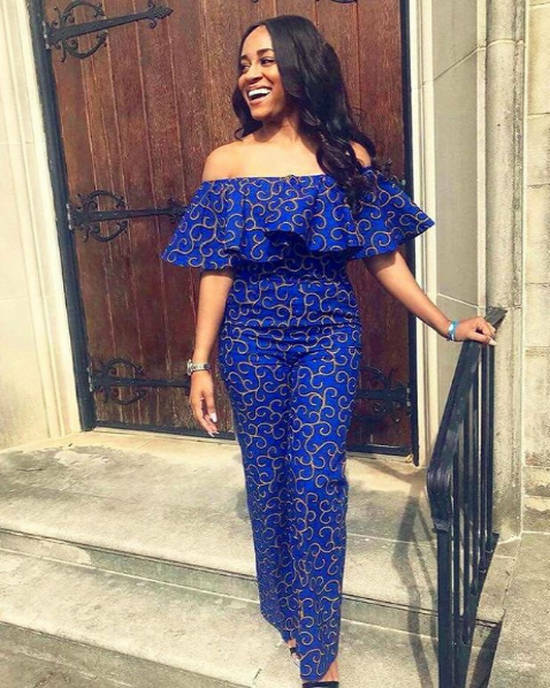 An Ankara jumpsuit can be your fashion saver. So, ladies, let's check out some of the latest Ankara designs of jumpsuits for you.